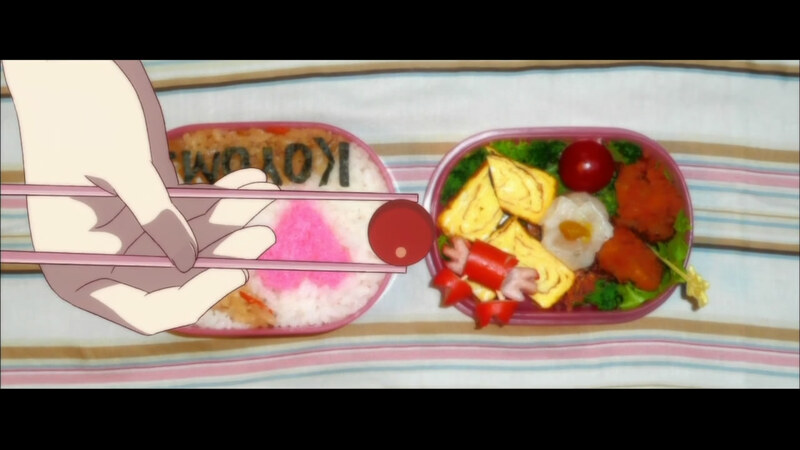 The episode starts off innocently enough, with Koyomi and Hitagi eating lunch together, and latter asking the former out on a date. 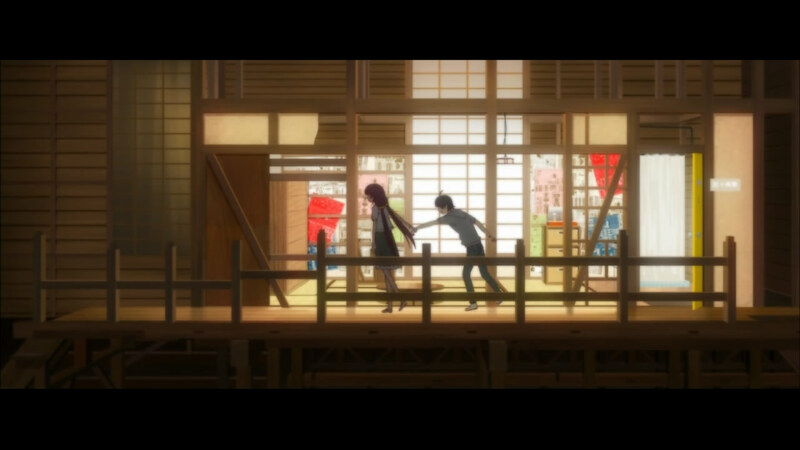 After the OP, an excited Koyomi bikes as hard as he can to Hitagi’s house, only to be dragged straight to her father’s car. 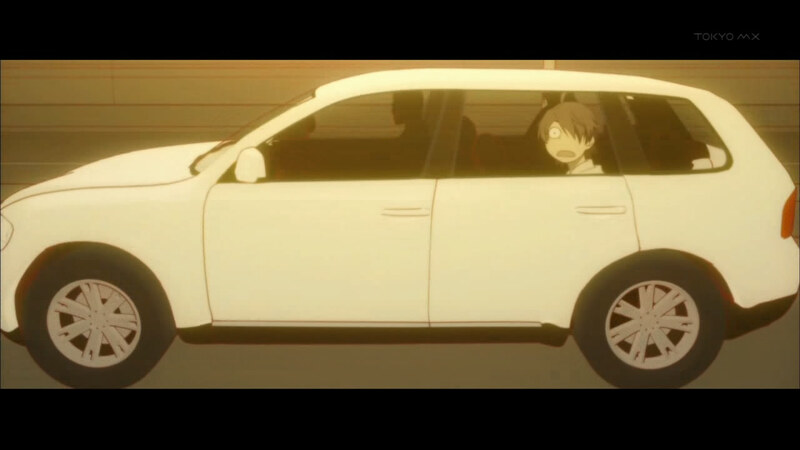 What commences is a very long car ride with the standard pun-filled dialogue present in most episodes of Bakemonogatari. The subject of conversation goes back and forth, hot and heavy at times, lightly humorous at others. Through it all, they’re talking about themselves and their relationship. 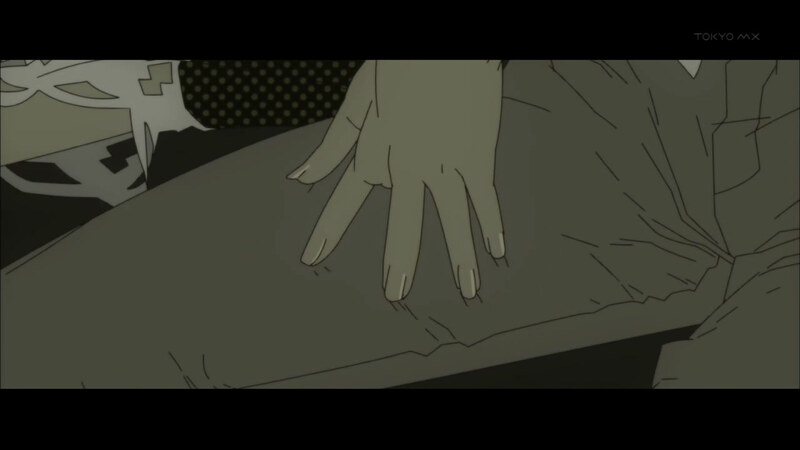 When they reach their destination, Hitagi’s father speaks for the first time after Hitagi leaves them (we see her walk in the woods). This is when the episode really takes a turn, I think. It’s cliche to say, but Hitagi’s father has some wisdom to offer to Koyomi. 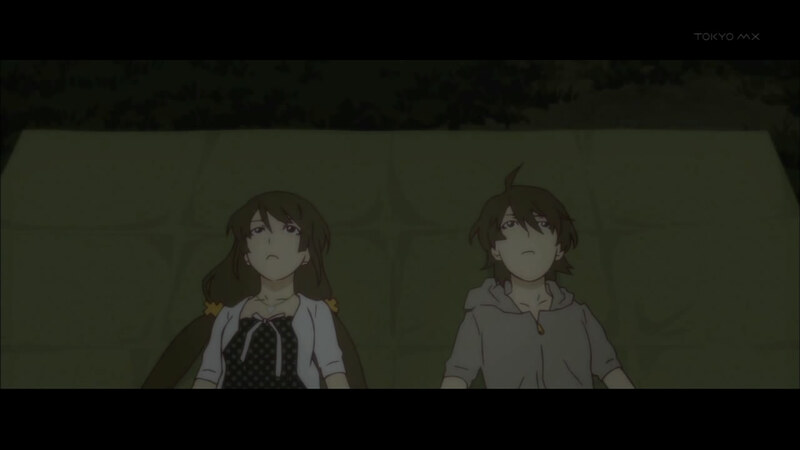 Hitagi returns, drags Koyomi with his head down to a spot in the woods where she put down a blanket, and tells him to open his eyes, revealing the amazing view of the stars up above. 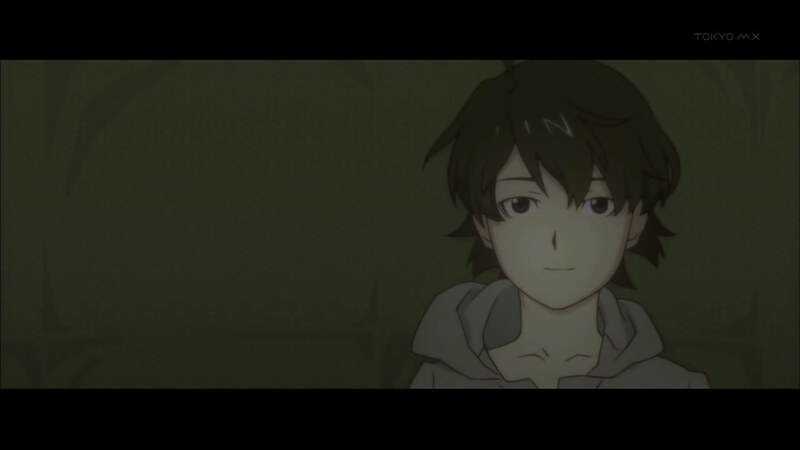 There’s a nice little nod to the lyrics of the ED (Kimi no Shiranai Monogatari “The Story You Don’t Know” by supercell), followed by an extremely genuine, extremely romantic conversation between these two teenagers who are just discovering such feelings. The trauma involving her mother in the past is referred to a couple times, in a fittingly mature way. They again ask each other what they like about each other. 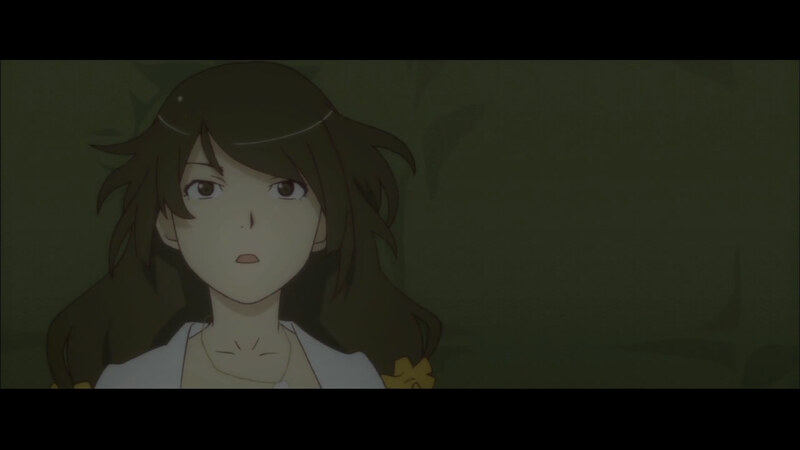 Koyomi’s response is different this time: “I like everything. 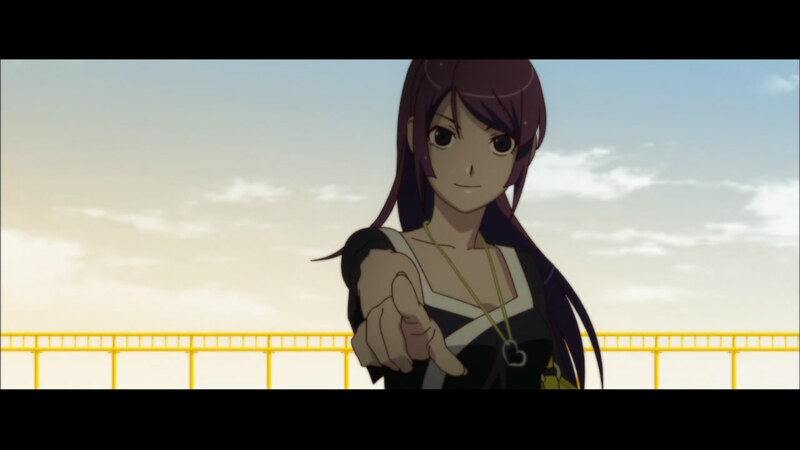 There isn’t a thing about you that I don’t like.” Hitagi’s remains unchanged. We’re left with an unambiguously ambiguous ending, panning up to the stars as the two turn to each other for their first kiss. 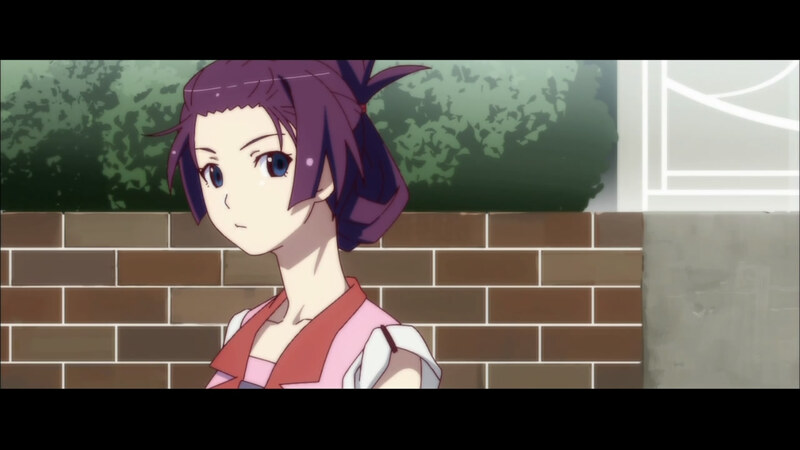 I think key to this episode having the effect it did on me was seeing Hitagi vulnerable for the first time since her breakdown in episode 2. Her condescending, almost too emotionless tone remains, but the way she struggles with how to say certain things to Koyomi reminds us that her cool act is just an act. 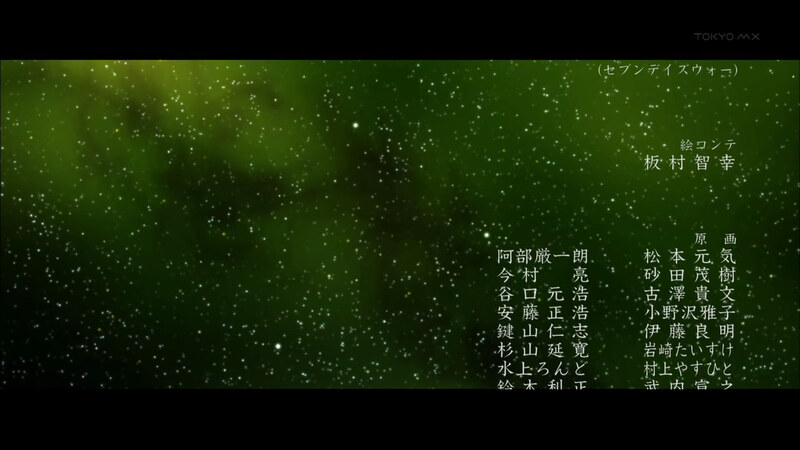 When she’s talking to Koyomi under the stars about her feelings towards him, there was a sense of genuineness, a sense that she really meant and felt everything she was saying to him. And not only that, but that she was scared and unsure of herself, struggling to say these things despite feeling exposed, truly vulnerable; it’s an aspect of hers not seen much in the previous episodes. In his conversation with Koyomi, Hitagi’s father says outright the thing at the core of this episode: Hitagi is not a well-adjusted girl. She suffered through major trauma in the past due to her mother, her relationship with her father isn’t all that close, she had lost all her friends since entering high school. It had been a long time since he had seen his daughter so happy. The point, of course, is that it was thanks to Koyomi that she changed. And not because of what he did, but just because of who he was. 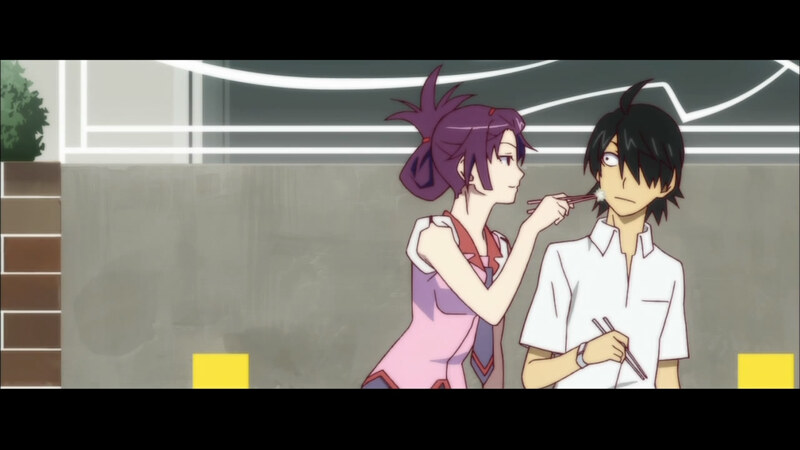 I think this is a realization that Koyomi came to at the end of the episode; up until then, he seemed genuinely confused at the fact that Hitagi wanted to be his girlfriend. She was attractive, smart, (used to be) athletic and popular. Why him? There was no reason, and there never had to be. They’re not grownups yet. But we got to see these two characters growing up, together. They had thrown the word “lovers” around before, but it was only in this episode that they really became that (obviously literally, but I mean figuratively here). Or at least take one more step towards that. – Senjougahara Hitagi, closing seconds. Of course, as wonderful as this episode was, it didn’t give us anything involving Tsubasa Cat. I’m looking forward to seeing that story expanded upon in the 3 web-only episodes. In terms of timeline, this episode does jump significantly ahead of the last one, so I’m guessing the next episode will take place before this one. It’s a great finale, and I wonder if SHAFT was pressured to release it at the end of the TV run instead of the end of the series in general, because it doesn’t really fit in this episode slot. I’m somewhat reminded of The Melancholy of Haruhi Suzumiya here, which I consider to have had two endings: Some Day in the Rain and The Melancholy of Haruhi Suzumiya Part 6. The former being the chronological one, the latter being the more plot-related one. 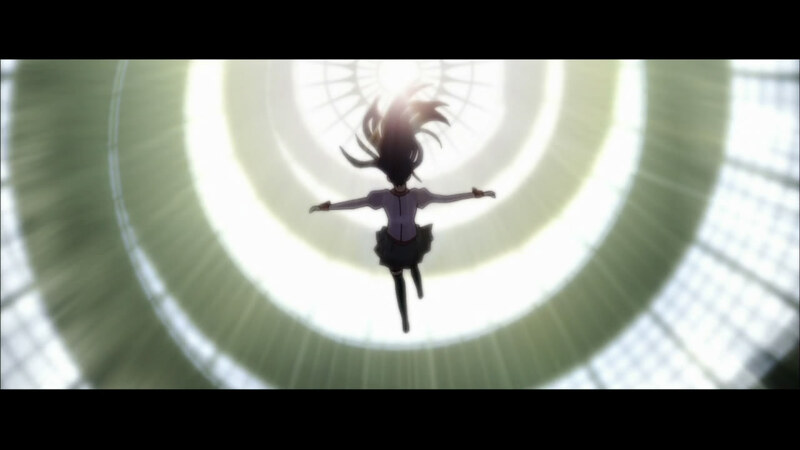 Perhaps SHAFT can pull off something like that, with an equally fitting finale in episode 15. It’s true what they say about the ending making or breaking a piece of motion picture. 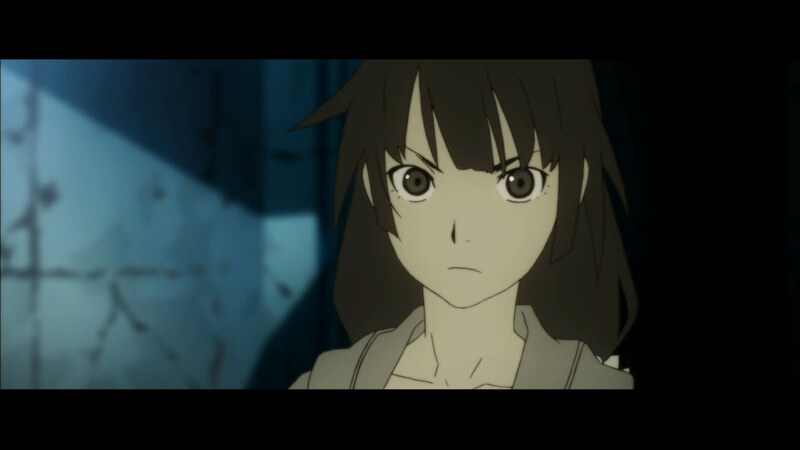 I was somewhat skeptical of – still enjoying, mind you – Bakemonogatari, but this episode gives me hope that it will be one of the most memorable anime I’ve seen in a while.